When the monk attempts to rely on his own strength to do battle with his fallen nature, he will be defeated. The arena, his field of battle, takes place in his own heart, and will be a life long battle. The monk must manifest his word in deeds, and his weapons in this unseen warfare, must be based on complete lack of self-reliance. His monastic skufa serves as his helmet, symbolizing his total reliance on God’s mercy. His shield and his coat of mail, is his firm trust in He whom he serves. The monks armor, his cassock, is bound with his belt, which is the cutting off of bodily passions. The monks boots keep the monk grounded in humility, and serve as a recognition of his powerlessness in this spiritual warfare without having put on Christ each hour. The Prayer Rope becomes his sword, which he holds in one hand, assures that the Jesus Prayer is ever on his lips or within his heart. His spear, which he holds in his other hand, is the blessing cross, representing his firm resolve to resist the passions which assail him. The food that sustains him in his battle against the enemy, is frequent communion with God, both through the mystery of the Holy Eucharist, and inwardly; the clear and cloudless atmosphere, which enables him to see the enemy from afar. Finally, the monks mantle reminds him that he must be dead to the world, for this very cloth will become his burial shroud. The monk must be on guard, ever quick to ask forgiveness of his brothers, ever ready to account before others, his failure to live the Gospels in fullness and truth. For the monk, not a day, not even an hour, must pass without examining his conscience, for only in being ruthless with himself, will he rid every trace of the old man, the fallen man, from his life. The whole of a monks life must be given over the acquisition of the Holy Spirit, and a humble and a contrite heart. 13th Week after Pentecost. Tone three. Holy Martyrs Archdeacon Laurence and Pope Sixtus, Felicissimus and Agapitus, deacons, and others with them (258). Blessed Laurence, fool-for-Christ at Kaluga (1515). New Hieromartyr Viacheslav priest (1918). New Hieromartyr Athanasius priest (1937). Synaxis of the Saints of Solovki Monastery. Uncovering and Translation of the relics of Venerable Sabbas of Storozhev or Zvenigorod (1998). Martyr Romanus, soldier, of Rome (258). Six Martyrs of Bizin (Greek). Synaxis of New Martyrs and Confessors of Solovki. 7 Do you look at things according to the outward appearance? If anyone is convinced in himself that he is Christ’s, let him again consider this in himself, that just as he is Christ’s, even so we are Christ’s. 8 For even if I should boast somewhat more about our authority, which the Lord gave us for edification and not for your destruction, I shall not be ashamed— 9 lest I seem to terrify you by letters. 10 “For his letters,” they say, “are weighty and powerful, but his bodily presence is weak, and his speech contemptible.” 11 Let such a person consider this, that what we are in word by letters when we are absent, such we will also be in deed when we are present. 12 For we dare not class ourselves or compare ourselves with those who commend themselves. But they, measuring themselves by themselves, and comparing themselves among themselves, are not wise. 13 We, however, will not boast beyond measure, but within the limits of the sphere which God appointed us—a sphere which especially includes you. 14 For we are not overextending ourselves (as though our authority did not extend to you), for it was to you that we came with the gospel of Christ; 15 not boasting of things beyond measure, that is, in other men’s labors, but having hope, that as your faith is increased, we shall be greatly enlarged by you in our sphere, 16 to preach the gospel in the regions beyond you, and not to boast in another man’s sphere of accomplishment. 17 But “he who glories, let him glory in the Lord.” 18 For not he who commends himself is approved, but whom the Lord commends. The Very. Rev. Abbot Tryphon All-Merciful Saviour Monastery on Vashon Island, Washington. The Monastery is under the omophore of The Most Rev. 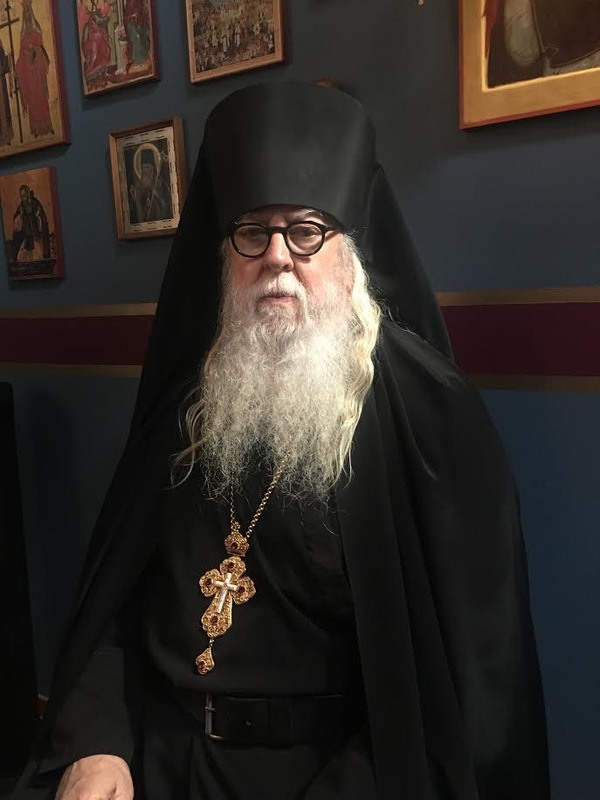 Archbishop Kyrill of San Francisco and Western America, of the Russian Orthodox Church Outside of Russia. Situated in the heart of a beautiful forest, surrounded by the Salish Sea, the monastery is reached by ferry from either Seattle, or Tacoma, Washington. 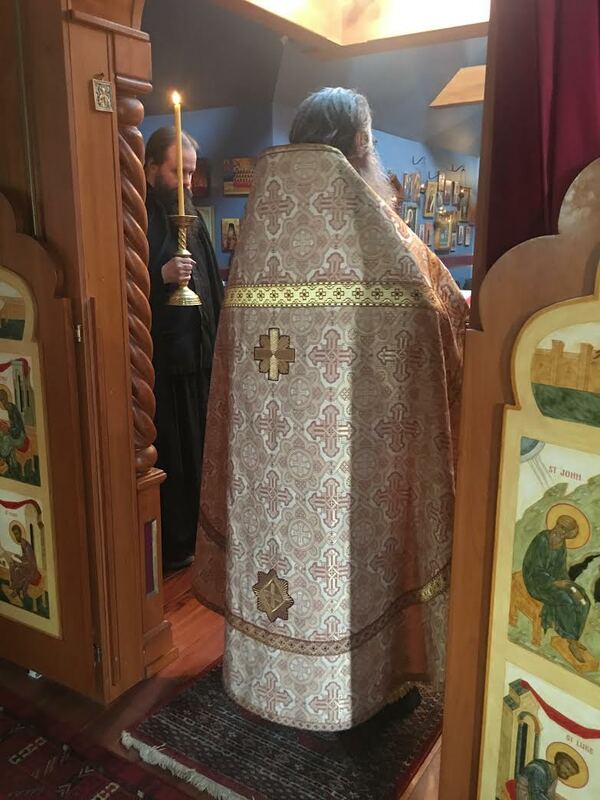 All-Merciful Saviour Monastery is a monastery of the Western American Diocese, under the omophor of His Eminence Kyrill, Archbishop of San Francisco and Western America. The Monastery is a non-profit 501 C3 organization under IRS regulations. All donations are therefore tax deductible. My prayer is that my country has her own Orthodox Monasticism.